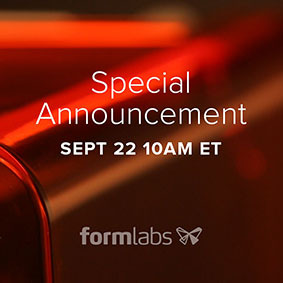 Formlabs is preparing a special announcement for Sept. 22nd. The video teasing their new product clearly shows significant differences compared to the current Form 1+, mainly what looks like a very different way of covering the printing area. Tomorrow will be an interesting day for affordable high resolution 3D printing! Formlabs’ news page is here .